In the world of source-built, custom Android ROMs there is a specific milestone that all the developers aspire to, and those with ORD eagerly hunt for: the elusive "nightly" build. This elusive build is often rumored to be found in the hidden recesses of the Internet, but very often sightings are treated with heavy speculation and the occasional conspiracy theory. But not anymore! After an announcement that we were stopping Android 4.3.x development and shifting our focus towards Android 4.4.x, and gearing up for nightlies, the excitement level and anticipation has been contagious. 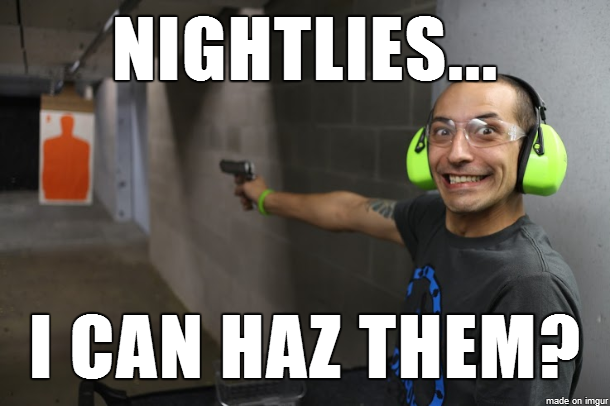 And now, thanks to the hard work put in by many of the Contributors, we can officially say that "YOU CAN HAZ NIGHTLIES!" Stay tuned as we have quite a few more devices to add soon from Sony, HTC, and others, wink-wink.